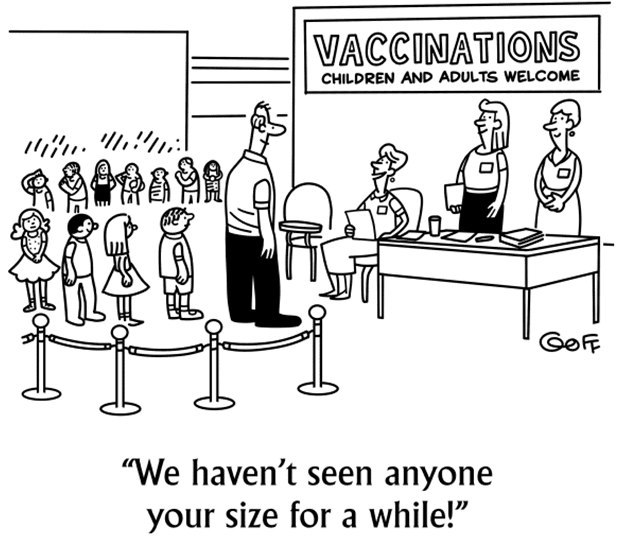 In a world of massive information overload, we have to be loud and insistent with our vaccination message. Nowhere is that more true than in Washington, DC. And if your memory is particularly sharp, you’ll recall that an English country doctor named Edward Jenner gave that first inoculation by taking pus from a cowpox lesion on a milkmaid’s hand and injecting it into eight year-old James Phipps. Then, a few weeks later, Jenner exposed little James to smallpox, who survived, unaffected. I’m not sure why Dr. Jenner chose an eight year-old, and I can’t begin to imagine the conversation with the kid’s parents, but that bit of history came to me when thinking about today’s topic, adult vaccines. Indeed, the co-Chair of AVAC recently described adult vaccines as “the next frontier.” In this issue of the IIN we visit with two of the people leading that journey. One of the people who drove the creation of AVAC was Lisa German Foster. She works with NVG, LLC, a D.C. government relations firm. With the help of a seed grant from Merck, the NVG team began investigating the possibilities for a coalition to bring greater focus on adult vaccinations. Of the team of three that began work on the coalition, it was Lisa who had a background in vaccinations. 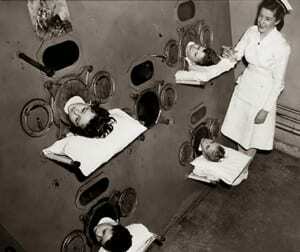 If any of us need a reminder of what vaccines have accomplished, take a look at what polio victims used to endure. The virus would paralyze the muscles in the lungs. 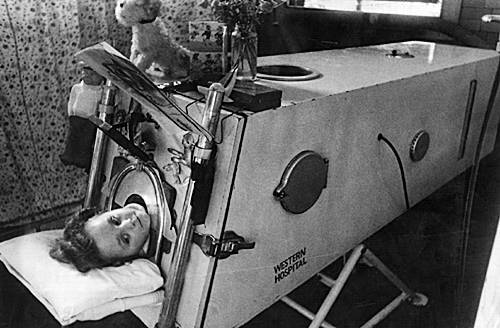 The iron lung used negative pressure to cause the lung to inflate. Early last year, Lisa and her colleagues tested the waters for a new group to promote adult immunizations. They began working closely with the Immunization Action Coalition’s Dr. L.J. Tan, who convened the National Adult Immunization and Influenza Summit. Lisa credits his “leadership and vision” with getting the organization off the ground. Response to the notion of a new organization was so enthusiastic that they were able to officially launch the group last September, with a dozen members, and with three areas of focus – health information technology, quality, and access. When I asked for an example of the barriers to accessing immunizations, Lisa described the “fairly significant co-pays” encountered by some Medicare beneficiaries . So AVAC representatives met with senior members of the Center fro Medicare and Medicaid Services. Since then, bipartisan members of the House and Senate have also reached out to the agency to urge them to provide specific costs/co-pays as a way to bring greater focus to the issue. Having gotten preliminary data, AVAC is contacting members of the House and Senate to ask for more and better information, and to seek ways to chip away at the barrier. I also spoke about AVAC with Laura Hanen, the co-Chair. 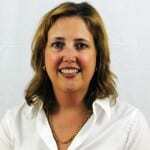 She’s Chief of Government Affairs for the National Association of City and County Health Officials. (That’s NACCHO, which to my disappointment is not pronounced “nacho” but instead, pronounced NAY-cho.) After an MA from Georgetown University, she went to work in Washington, including a stint working for Virginia Congressman Rick Boucher. Meanwhile, the folks of AVAC will continue to be the voice for greater access to immunizations. You can follow the group’s work at www.adultvaccinesnow.org or on Twitter @AVACNow. AVAC is on the front line of the adult vaccine issue, and they are getting all the right groups involved to spur change. For many years, policy makers have recognized – and addressed in large measure – the need for childhood vaccinations. Historically that is where both state and federal governments have stopped, so after about the age of 18, people don’t really hear much more about immunizations. 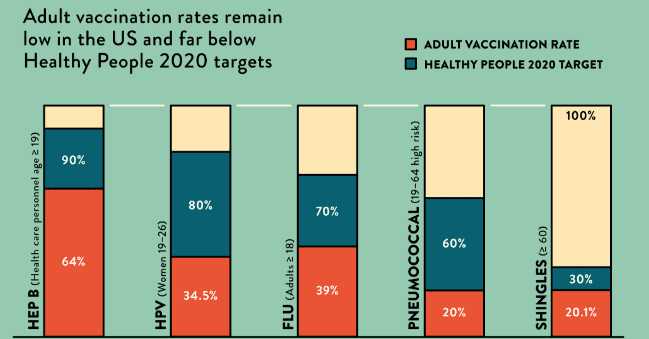 STC is proud to work with the great staff at AVAC to help make adult immunizations an ongoing discussion and to further reduce the burden of vaccine preventable disease across all age groups.